Today, I am wandering a bit of the beaten path for this whisky review to the Lowlands of Scotland and the Auchentoshan Distillery. This review is of Auchentoshan Valinch, a limited release cask-strength single malt aged predominantly in first-fill ex-bourbon casks. There is no age statement on the Valinch, but I suspect it is between 8-12 years old. In case you are wondering where the name “Valinch” comes from, it is the name of pipette used at the distillery to draw whisky from the casks for sampling prior to the barrel being dumped. Auchentoshan is a unique distillery in that it is the only distillery in Scotland to triple-distill all of their spirit, helping it to achieve its classic Lowland profile. This particular bottle I am reviewing is from Auchentoshan’s 2012 release of Valinch, and it weighs in at 114.4 proof (57.2% proof). On the nose, this is soft, elegant stuff. There are notes of sautéed pears, oranges, and some lilacs. It is a pleasant nose, but not such a complex one. Water intensifies the nose, but the general character remains straightforward as before. 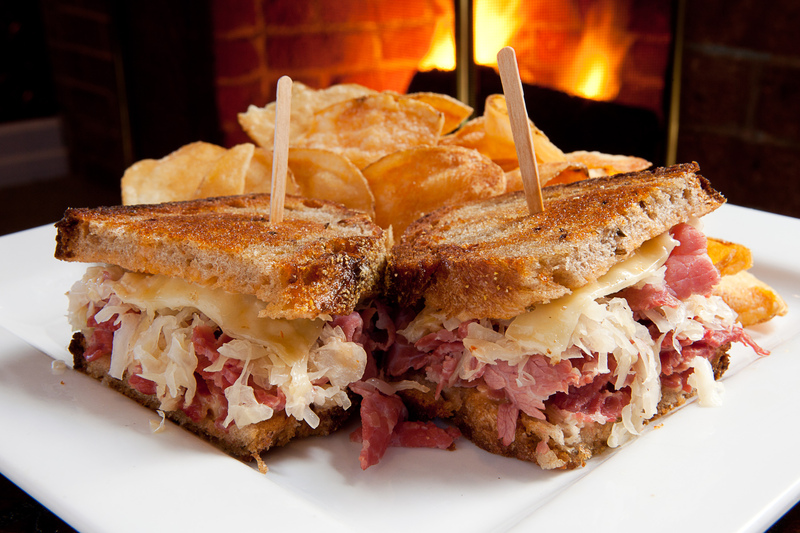 The palate is quite nice, full-bodied, and creamy. There are notes of crème brulee, tangerines, big vanilla, honeysuckle, oak, and some light florals. The finish is medium-long, with some drying oak, fresh wood, pears, and oranges. Overall, this is a good, young bottle of whisky. It is rather drinkable despite its proof, but still brings a nice complexity to the table. If you enjoy Irish whiskeys such as Bushmill’s single malt or Redbreast’s lineup, I suspect you will enjoy Auchentoshan Valinch very much. Here in Boston, this is a beautiful dram to have around the house as spring seeks to muscle in on the long winter. My grade: B/B+. Price: $50-60/750ml. This whisky won’t break the bank, and it caters to many different palates. Why Bottle Whiskey at Barrel Strength? Recently, I have had a few folks inquire as to what is better about a barrel strength whiskey and why a distillery would consider bottling a whiskey without cutting it with water. So, I thought I would provide the basics as to why distilleries might bottle their whiskey at barrel strength. First, it is important to remember that “barrel strength” does not necessarily that a whiskey is a monstrous proof point. Not all whiskeys are George T. Stagg at 140 proof. Some old Scotches are bottled at barrel strength and are only 85 or so proof. It all depends on the temperature and the humidity of the site where the whiskey is aged combined with the proof that the whiskey entered the barrel. 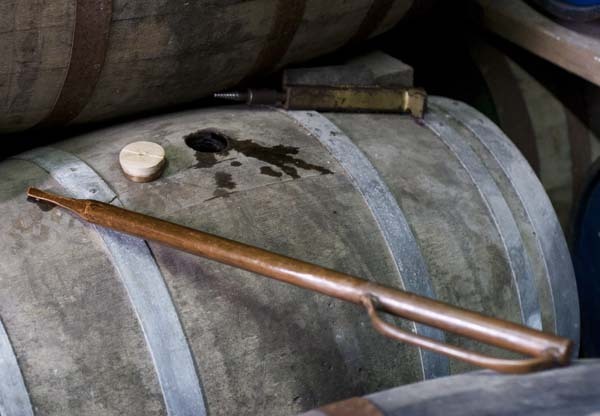 In Kentucky’s heat and humidity, a whiskey tends to increase proof in the barrel, whereas in Scotland’s damp, cool environment, a whisky tends to decrease proof in the barrel. Secondly, not all high proof whiskey burns (I only mention this caveat because it is what some folks immediately think when they see a barrel strength whiskey on the shelves). When a whiskey is in the barrel, whiskey escapes (the angel’s share) and air enters to soften the whiskey. That reaction is part of what helps a whiskey mellow over time. As a result, a whiskey at 80 proof right off the still is likely to be harsher than a barrel strength whiskey that is 15 years old. There are many barrel strength whiskeys that I enjoy best at their full strength. From an economic standpoint, bottling at barrel strength does not always seem like the best option because a barrel can go much further with water added before bottling. This is precisely the reason Maker’s Mark threatened to decrease the proof of their bourbon. They were running low on their stocks, and they wanted to get more bottled product out of each barrel. This is also the reason that barrel strength whiskeys are more expensive; there is just less of it to go around. Even with the economic and stocking disadvantages, there are still important reasons that distilleries choose to sell their whiskey at barrel strength. Chief among these reasons is taste. In many cases, barrel strength whiskeys are deeper and more complex because all of the fats and flavors are still left in the spirit. When a whiskey is at its full strength, there are no tasting notes left out. Furthermore, whoever is drinking the whiskey has the freedom to add water to his or her liking. As water is added and the proof is lowered, the whiskey will evolve, giving more and more layers as the drinkers sits and sips. Essentially, bottling a whiskey at barrel strength allows the full whiskey experience to shine through, allowing the consumer to choose what proof they would most like to enjoy the whiskey. 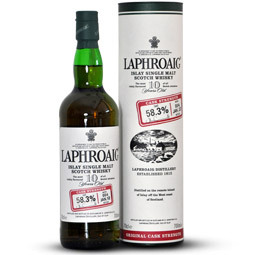 As an illustration, compare my review of Laphroaig 10 Year with my review of Laphroaig 10 Year Cask Strength. The latter packs a level of depth that the former cannot hope to measure up to at a mere 80 proof. In the bourbon world, a great example is W.L. Weller 12 year compared with William Larue Weller. The W.L. Weller is a very good wheated bourbon, with soft, sweet flavors of maple sugars, vanilla, and butterscotch. However, in William Larue Weller (bottled at barrel strength), those sweet flavors are compounded with plums, dark berry fruits, and a rich mahogany woodiness. Of course, the rub is that both Laphroaig 10 year and W.L. Weller 12 year are very good value, whereas their barrel strength siblings are significantly more expensive and hard to find. But, if you have ever been curious, take a shot and snag a bottle of your favorite whiskey at barrel strength and let it ride!